With recent events Football is under increased scrutiny and remind supporters that they are representing the Club at Hampden. 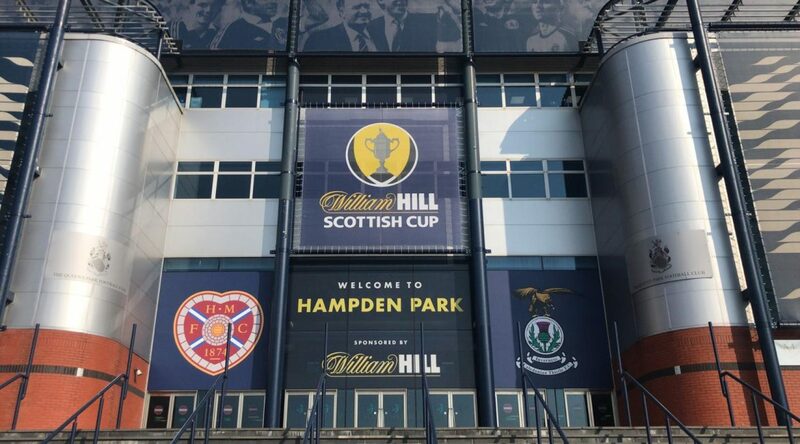 For those in Hospitality, the Car Parks at Hampden will shut one hour before kick-off. Persons attending events at Hampden Park should be aware that the area immediately surrounding the stadium is mainly residential and the availability of on-street parking is extremely limited due to event specific parking restrictions. On event days we would advise persons attending Hampden Park where possible to use public transport to get to and from the stadium, if not travelling by organised coach/bus. A number of railway park and ride options are available. M74 Northbound: Exit the M74 at Junction 1A (Polmadie). Turn left onto Polmadie Road turn right onto Calder Street, where your coach will be directed to park unless you have a pass for the Purple Car Park in which case you should continue straight on at Calder Street. A car park pass will be required for entry to the ‘purple car park’; to access this continue to junction with Aikenhead Road, continue south onto Aikenhead Road, stay in the right-hand lane and continue through the junction with Prospecthill Road where your coach will be directed to park in the purple car park. Buses entering the ‘Purple Car Park’ must enter no later than 90 minutes prior to kick off. Hospitality vehicles entering the ‘purple car park’ must enter no later than 60 minutes prior to kick off. M74 Southbound: Exit the M74 at Junction 1A (Polmadie). Turn right onto Polmadie Road, turn right onto Calder Street, where your coach will be directed to park except for Purple Car Park pass holders who should continue south. M80 Southbound: Exit towards M73 Junction 4 (Carlisle) and continue south. At Junction 1 join the M74 north and follow the above route. M8 Eastbound: Continue on the M8 to junction 1 of the M74, (offside lane). Exit the M74 at Junction 1A (Polmadie) and follow the route above. M8 Westbound: Exit the M8 at junction 20 (nearside lane), merge onto West Street, turn left into Wallace Street, keep left to continue on Dalintober Street, merge onto M74, exit the M74 at junction 1A (Polmadie) and follow the route above. After the event, coaches in Polmadie Street and coaches facing south in Aikenhead Road, should follow the reverse of the routes shown above. Coaches parked facing north in Aikenhead Road should continue north on Aikenhead Road, turn right into Cathcart Road, then turn right into Caledonia Road to the roundabout junction, turn right onto The Boulevard, continue to the roundabout junction, turn left onto Kilbride Street, continue to the traffic light junction, turn right onto Polmadie Road and join M74 junction 1A. Supporters attending the hospitality area for the fixture should exit the M74 at Junction 1A (Polmadie). Turn left onto Polmadie Road, continue to junction with Aikenhead Road, continue South onto Aikenhead Road, stay in the right-hand lane and continue through the junction with Prospecthill Road turn right into the ‘purple car park’ on the right. A car park pass will be required for entry to the Purple car park; those without a pass should utilise on street parking where available. Any vehicles entering the stadium car parks, must enter no later than 60 minutes prior to kick off. In order to enhance the safety and security of all spectators prior to and at the conclusion of the match, Police Scotland will temporarily close a number of roads around the perimeter of the stadium. These closures will be for a short period of time and will be lifted as soon as it is deemed safe to do so. We thank you for your patience and understanding.